Camp California: I’m talking with Stan today. He’s going to tell us about American River Resort in California. Stan, maybe start off by giving us a little bit of history about American River Resort. Stan: American River Resort has been existence for about a decade as it and as titled by that, with that name. It was originally developed by a lady who’s actually the daughter of a famous comedian, and the name is escaping right now. I’ll come with that here in just a minute and you can plug that in later. But she developed this as a private family place. This was back in the day, in the mid-century, last century, when Tahoe, which is just about an hour away. Lake Tahoe is a big area for wealthy people that own land and built big, fancy homes and cabins up there on the lake. She developed this. It’s right on the edge of the American River, housework of the American River, and we’ve tried to preserve the same sort of look and feel of what she developed back then. So, that’s kind of the history. Stan: I’m not sure she thought of it as a public resort, because when she died, I think it went on sale and it was purchased by other people. Stan: Who had that idea to turn it into a resort. Camping resort. Camp California: Very interesting. Now, what types of camping do you offer there? Stan: Tent camping. Also, RV. There are several RV spots here, as well as six cabins that are not rustic like you think of it, but they’re very modern and clean inside. Full bedroom, bath, sitting area, kitchen – that sort of thing. So, we’ve got some nice cabins. 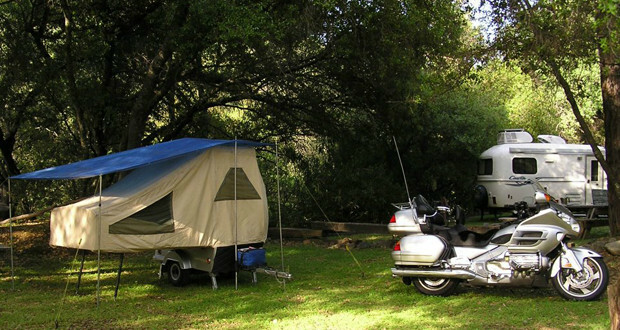 We’ve got some great RV spots that have everything an RVer would want, including a picnic table and a fire pit, and everything right there for them to use. Camp California: Sure. And what are the most popular activities for guests there? Stan: Well, they love the fact that American River Resort is right here on the American River. 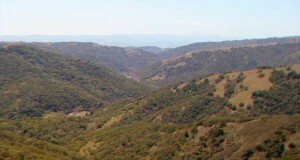 The south fork of the American River is one of the premiere whitewater rafting rivers in the country. In fact, people come from all over the world to this particular spot on the river because it’s got some really fun rapids, but they’re not really difficult rapids to run. So, there’s an excitement for, you know, the professionals, and then there’s also, but not too dangerous. Stan: You know, casual people that like to run the river. 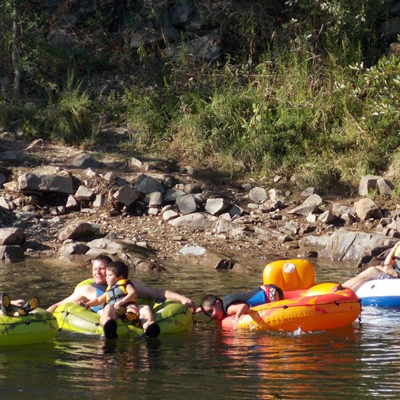 So, we have one of the most fun spots on the river. It’s called Troublemaker Rapids. It’s very popular and famous, as the Troublemaker Rapids is. It’s right on our resort. 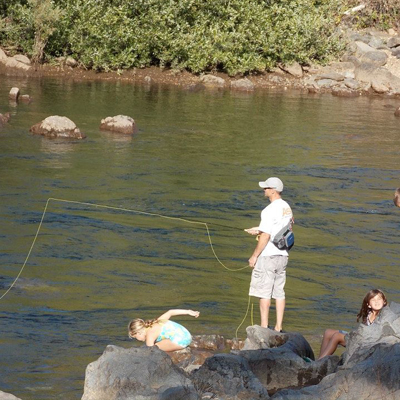 So, what campers love to do is just come sit on the rocks at the edge of the river and watch people come down Troublemaker Rapids. It’s a lot of fun. Camp California: Oh, awesome. Now, what if I was staying at American River Resort for maybe an extended period of time and I wanted to venture outside of the resort? What are some of the local attractions in the area that you might recommend? Stan: Well, American River Resort sits smack dab in the middle of Gold Rush Country here in California. We’re just a quarter mile away from Sudders Mill, where gold was discovered back in the 1800s. And so, there’s a huge State Park dedicated to gold discovery site there with museums and old restored buildings. They do historic reenactments there. It’s really a fascinating, fascinating place. As you know, there’s a lot of American history, and California history just starts with the Gold Rush. Stan: And so, there’s great things for people to come here and see. They can spend a day or two or three, and just within, you know, a ten-mile radius of the campground – the resort -, there’s all kinds of very, very interesting things pertaining to history that they can do, as well as the natural stuff, like I mentioned whitewater rafting, kayaking, horseback riding. There’s lots of hiking trails, biking trails, horse trails. There’s fishing. There are great things to do. Camp California: Fantastic. Do they still find gold at all in that area around the mine? Stan: Yeah, they are. They’re still finding gold in places. There are a couple active goldmines here in the area, so people can go visit those. But here, near the resort, there’s a gold panning site, where people can actually try their hand at gold panning and see if they can find some. Stan: It’s kind of fun. Camp California: Two more questions for you, Stan. 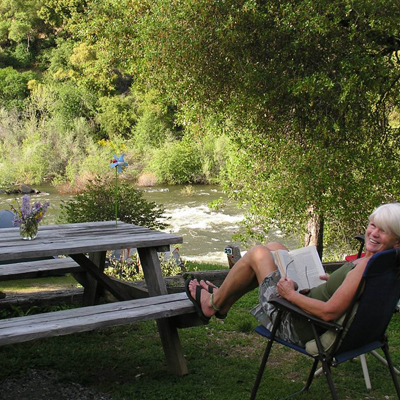 If you were going to spend just one hour at American River Resort, hanging out, how would you spend your time there? Stan: You know, we’ve got a great patio here by our lodge. It’s Wi-Fi free, not that you want Wi-Fi when you’re out in nature, but it’s a great place. Comfortable, quiet place to sit, and you can hear the sound of the river rushing nearby. I would think I would bring my lunch and have my lunch there on the patio if I had an hour to spend. 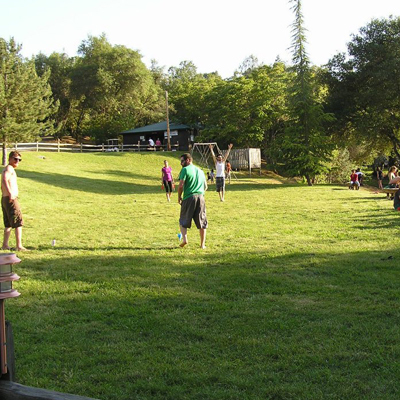 Camp California: I think there’s a picture of the patio on your site. I was looking at it just a minute ago, and yeah, the view looks fantastic. It’s a little bit higher up than the river. It looks great. Last question: if you could spend just one night at American River Resort in California, which specific site would you stay at and why? Stan: I would stay at the cabin that’s right there on the river. It’s 15 feet away from the river. I would spend the night in that cabin. It’s a comfy, cozy place to be, but I’ll tell you what. There’s nothing like falling asleep the sound of that rushing river that’s just right off the edge of your deck. Camp California: Can’t be beat. Well, hey Stan, thank you so much for taking a little bit of time out of your morning to give us a little bit more information about the American River Resort in California.